Jalandhar: Two-day annual mega fest ‘One India-2017’ was inaugurated today at Lovely Professional University, where thousands of student-participants from 29 states and 7 Union Territories of India worked together and converted LPU campus into the whole of India in real. This year, students are celebrating the theme of “World Peace” by proving it grand in form and aim. The most important point of the fest is that LPU students are seen representing other states than their own to showcase strong ‘Unity in Diversity’ of India. Even International students from 50+ countries are also participating actively to co-operate their Indian counterparts & to imbibe great Indian ideologies. On the first day of the fest, LPU Chancellor Mr Ashok Mittal inaugurated the fest celebrations by plantation of trees and initiating the world-peace symbols. Chancellor Mr Mittal conveyed students that we can never obtain peace in the outer world until we make peace within ourselves. Prior to this, LPU students chanted slogans for “World Peace” including “Om Shanti, Shanti, Shanti Om; Why can’t we live in Peace; Always imagine Peace; Better Society, Better Tomorrow; Fight the Fight; Teach Peace to Each; and more,” throughout the campus, during 4 Kms long procession of tableaus representing each state and UT of India. 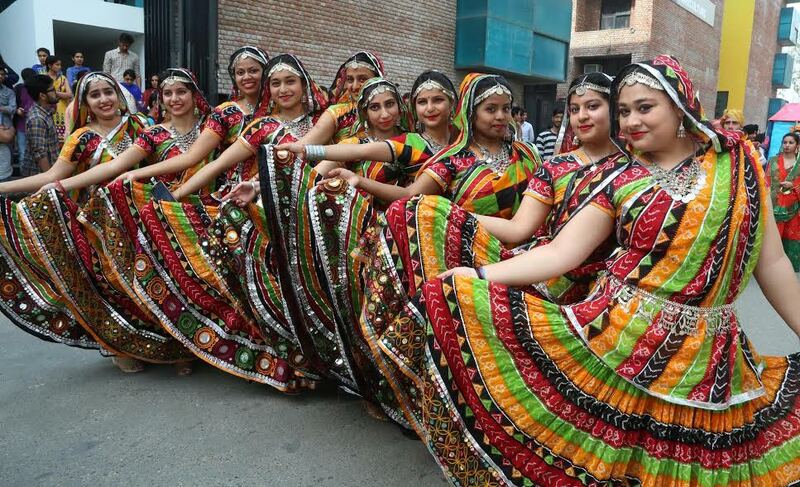 Students showcased culture, dresses, songs, dances, historical aspects, and colourful procession about different regions. For this, 100+ exhibition & food stalls, 36 folk Music & dance performances depicted magnanimity of oneness among all. By visiting individual expo stall, LPU Management & Senior Officials inspired the students to go ahead in all unified works for the betterment of community, country and the world. The fest- ‘One India’ is held every year at LPU Campus to let diverse student community feel the importance of unity by all means. The fest is indeed proving to be a grand effort in binding students in a single knot of unity amid great cultural diversity. Different LPU Schools represented different states of India separately, and their students worked together to bring out the great aspects of the individual states for 25,000 other on looking students. Tomorrow, on the conclusive day of the fest, valedictory ceremony will witness the great cultural showcase of continuous dancing performances of all the states of India and awards to expo winners. At all states’ food stalls, raised by LPU hostellers, students of Telangana, Andhra Pradesh, Maharashtra, West Bengal were seen serving foods of Madhya Pradesh, Bihar, Jharkhand, Himachal Pradesh & Chhatisgarh like Bhutte Kaa Kees, Methi Puri, Malpua, Rugra, Dhuska, Apple Flack, Gahat Kofta, Makhiani Lassi, Himachali Sidu and more. Whereas, students from Punjab, Chandigarh, Haryana, Rajasthan let other students enjoy North East, West Bengal, Telugu foods like Ghugne, Jhalmuri, Thuppa Soup, Bamboo Soft, Telebhaja, Aloo PoshotaKapok, Punnukulu, Mirpakaya and more. Same was seen during diverse music and dance performances where a South Indian students performed for Bhangra, Giddah, Lavani, Ragini, Kalbelhia and North Indian students on Bihu of Assam and more. At Assam stall Navjot Kaur (a B Tech Bio- Technology II year student) from Punjab; at North East Stall Elijah (an international student of BBA) from Uganda; at Kerala stall Anil Shah (a BBA student) from Nepal; and, B Tech CSE II year student Nischit from Mumbai shared unanimously that this is the real and humane learning at LPU campus for which we have come from far off states to study at LPU. Through such activities of utmost importance we are imbibing the spirit of being truly global citizens. Highlighting factor of the celebration is that student of a particular state was seen working and performing for the other state. By doing in such a way, students availed a broadened opportunity to celebrate and pay respect to one-another’s culture.